We’ll take care of those home repairs, large or small, and get you back up and running in no time. Home repairs are one of the things every homeowner loves to evade, but they may be the most important part of maintaining your investment. Making sure your home maintenance stays up to date can be complicated and time consuming. 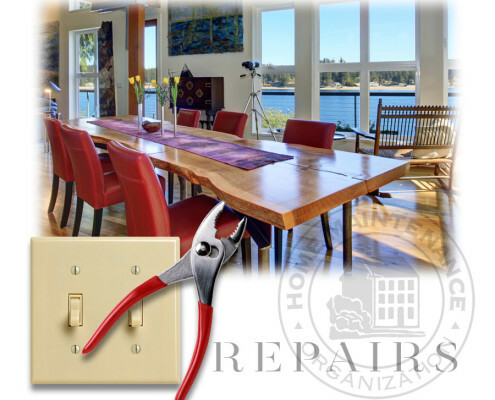 Simplify your home maintenance needs with one simple call to the Home Maintenance Organization. From the very noticeable – like painting or broken windows – to the invisible – like creaky steps or leaky roofs – we can perform all the tasks that there never seems to be time for. We’ll inspect stairways, windows, gutters and roofs before they become a problem for you. get on with your day. Now, instead of trying to find the time to get to all of these tasks, you can relax while we take care of them.